This program helps couples work together to raise children in the challenging stepfamily environment. Also teaches how to use powerful communication and negotiation skills to strengthen marriage and family. DVD video is closed-captioned. Available in three convenient formats: video & discussion program (shown on left), video library and lunch & learn program. Getting married is the easy part! When a stepfamily is formed, everyone needs to learn new rules: Mom and Dad need to learn how to work together as a team. Children and teens must adapt to changes. To avoid potential problems, everyone needs to build good relationships with new family members, which can often be challenging. 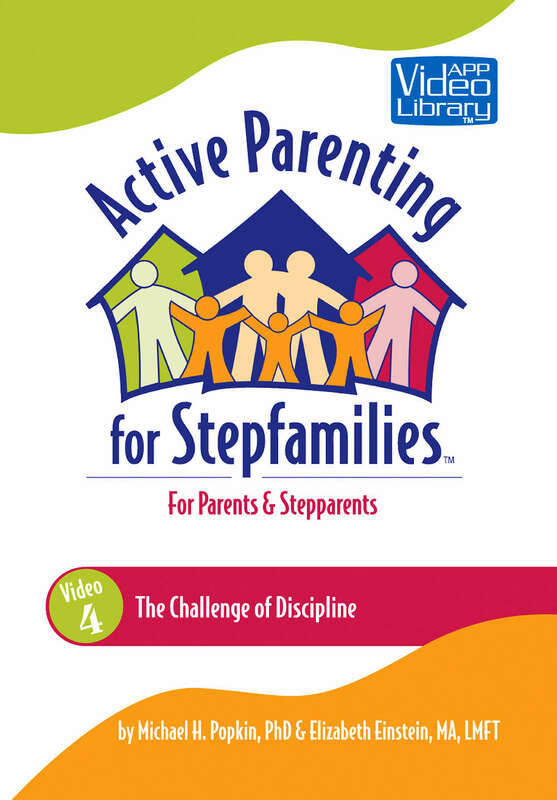 The following program is designed by Active Parenting as a program guide to making stepfamilies work. Active Parenting for Stepfamilies is here to help! Use this new video-based discussion program to help couples work together to raise children within the challenging stepfamily environment. With this program, you will learn solid step-family parenting advice and parenting tips such as when and how to use powerful communication and negotiation skills to strengthen marriage and family. Designed both for parents and stepparents, Active Parenting for Stepfamilies is a great resource for foster parents, adoptive parents, single parents and others affected by loss and change. The program combines the knowledge of Active Parenting author Michael Popkin and stepfamily expert Elizabeth Einstein.